In this golden age of beard acceptance, pretty much any style of beard is a go—as long as it’s well-kept and positively accentuates your features, that is. This is a bit of a contrast to the past, where certain beard types were clearly dominant as a matter of form, as opposed to being uniquely suited to each individual. As you can see, neckbeards were kind of a thing in Henry David Thoreau’s day. In 1856, when this photo was taken, men of the middle and upper classes were expected to rigidly follow trends. Not only did you wear the latest styles of clothing, but you wore the latest hairstyles and facial hairstyles. And it should be noted that Thoreau was considered a freethinker, and even he is displaying the deeply side-parted hairstyle now iconic of the mid-nineteenth century, we well as the bushy beard. That said, there were variations on beards at this time—generally veering towards bushier and bushier, with Abraham Lincoln’s beard actually being quite low-key by the standards of the day. Luckily, we live in these times—not those times. And in these times, we have an unprecedented freedom of expression that has never been experienced in the whole of history. And that freedom of expression extends to beards. 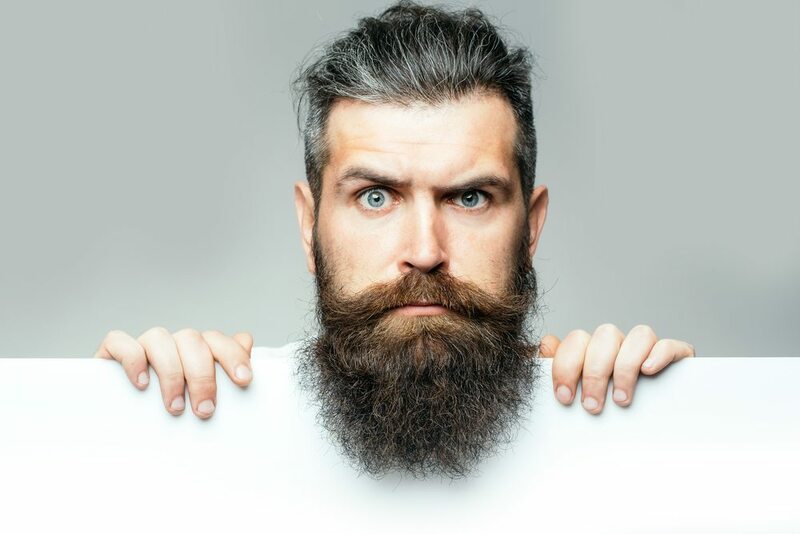 Once you’re comfortable with trimming and shaping your own beard, you may come up with your own signature beard style. But if you aren’t that creative or if you’re going for a certain look, there are quite a lot of beard styles to choose from nowadays—far too many to list them all here, though we created a comprehensive list of the best of today’s beard styles, including an infographic for visual reference. That said, there are some beard styles worthy of special note, because they look badass and can be worn well with most face shapes. Long stubble is one of the most popular beard types out there, and it’s easy to see why. It’s easy to maintain and it can be worn well on any face. Actor Bradley Cooper often chooses to wear long stubble, and as you can see, it gives a width boost to his narrow chin, complimenting his face’s overall shape. The full beard is another very popular beard shape. Its length can vary, but even at the shorter end of the spectrum (like the pic above), it’s always longer than the long stubble look. It’s a common beard choice because you get to have full beardy goodness while looking groomed and dapper in a work environment. The Bandholz is arguably the king of beard styles at the moment, and it’s easy to see why: It’s full and long, but shaped and sophisticated. Popularized by namesake Eric Bandholz, founder of beardbrand.com, the Bandholz is the beard enthusiast’s beard. It takes time and dedication to grow a full beard, and there is some grooming required. But when all is said and done, most who proudly done this beard style are pretty happy with the result. Also, the great thing about the Bandholz is that it’s the perfect beard style for any face shape, so it’s arguably quite superior on a variety of levels.